We have some good news and some bad news. The good news is that Icebreaker: A Viking Voyage update is ready for submission on iOS and Android. Now here's the bad news. Although the game is ready, due to events not being in our control this is not going to happen just yet. We want to be as open about this as possible so that hopefully you will understand this final delay. The problem is to do with iOS not Android, but before everyone says 'just launch it on Android', we have been working for a very long time and we stand the best chance to make a splash with this update to go live across all formats at the same time. Not many of you probably noticed but Icebreaker HD (the iPad version) is now on the Nitrome account rather than the Rovio Stars one on the App Store. The decision to transfer Icebreaker: A Viking Voyage from Rovio Stars to Nitrome was mutual. At this point of the game’s life cycle it made financial sense for both Rovio and Nitrome to transfer the future updates and upkeep of the game to Nitrome. The decision was a mutual win-win. The iPhone version should at this point also be on our account but it's not. On trying to transfer the game file using Apples official method one of the in-app-purchase ids conflicted with an in-app-purchase id of the same name on Nitrome's account and caused it to fail. We tried many things to solve it but none worked and we now need Apple's help in order to fix this. 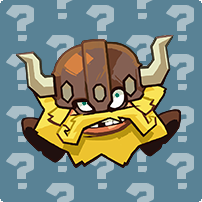 If we uploaded a new build of the game to our account, current owners would not get the upcoming free update. I'm sure you would agree is unacceptable. We have been in communication directly with Apple about the issue for around a week and a half and are waiting for one of their engineers to review the situation. Once that happens they hopefully will provide a fix but they might not. We have a sort of "Plan B" if all this fails, which we're working on for the worst case scenario but it's not as straight forward and certainly not perfect but would mean that current users still get the update, which is the most important thing. So we are waiting at the moment and can't even submit the update until this is resolved. This could be a few days or it could be weeks, we just can't tell. Hopefully it will be the former and you will see the game pretty soon. In the meantime we will still be running some more teasers while we sort this all out. We'll keep you all updated on how this progresses. Two final things that need mentioning. In-app-purchases are currently not working in the iPhone build of the game (the none HD version). This is to do with us trying to transfer the game and will be fixed as soon as we do transfer it. We are sorry to anyone who wanted to buy God Powers in the meantime. On a more positive note, we have made the HD version universal so now iPad users can also play Icebreaker on their iPhone and iPods... nice! We know this is a bit of a long read, we just wanted to be totally transparent on the situation because we want this update out as much as you do! We will update you on the latest news as and when it happens.